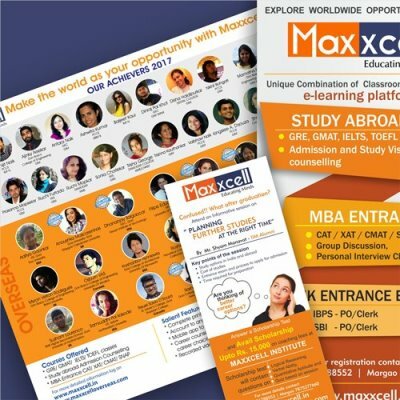 Maxxcell is a coaching hub which provides training for competitive entrance exams. All the marketing collaterals & sinages are done to target this particular age group. Deviant strokes conceptsualises & develops all the design for the Marketing Collaterals, events , Seminars , Job Fair , sinages.